Russia's hybrid military forces attacked Ukrainian army positions in Donbas eight times in the past 24 hours, according to the press center of the Anti-Terrorist Operation (ATO) Headquarters. The number of attacks has reduced in the area of the Anti-Terrorist Operation. However, despite the decrease in fire provocations, there is no full compliance with the ceasefire. The militants continue to violate the Minsk agreements in some areas of the contact line, using banned mortars, the report said. 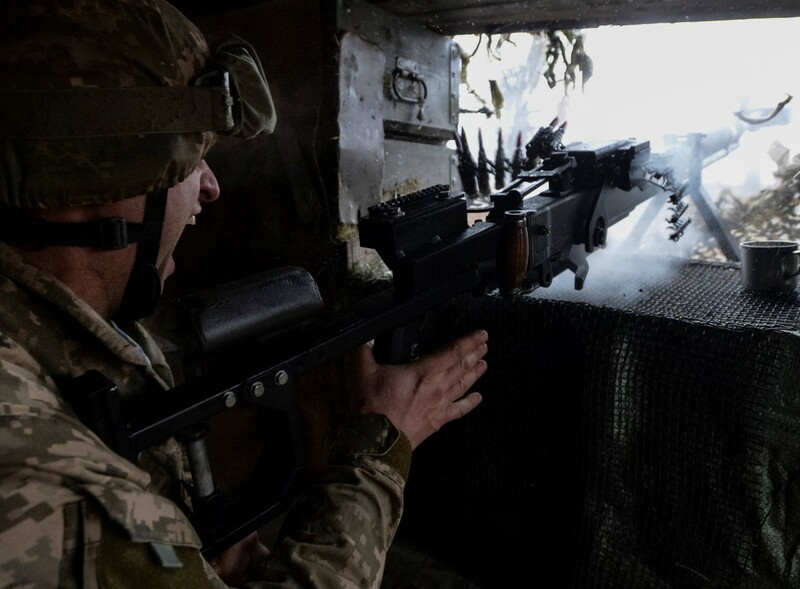 Read alsoNew escalation in Donbas: 17 attacks on Ukraine troops, 1 KIA, 3 WIA's in last dayThe Ukrainian military suppressed the enemy fire in half of the cases. Fortunately, no Ukrainian soldiers were killed or wounded in action over the past day, the ATO HQ said. In the Luhansk sector, the enemy violated the ceasefire twice. In the evening hours, the occupiers were firing 120mm mortars, grenade launchers and machine guns on the Ukrainian strongholds near the village of Troyitske for over two hours, having launched about 40 mortar shells. The defenders of the village of Zhovte came under enemy fire from grenade launchers and small arms. In the morning, Russian occupation forces fired 82mm mortars near the village of Opytne in the Donetsk sector. They also employed grenade launchers of various types against the defenders of the village of Vodiane and Butivka coal mine, as well as light infantry weapons against those of the village of Pesky and the town of Avdiyivka. In the evening hours, the enemy opened fire from 82mm mortars on the outskirts of Maryinka three times. As UNIAN reported earlier, a 29-year-old Ukrainian soldier was killed by an enemy sniper on December 14.